The challenge in almost every business, small to mid-size, growing or static, is to initiate or continue revenue growth. Of the Rockefeller Habits Four Decisions, People, Strategy, Execution and Cash, Strategy is the Decision that produces revenue growth. 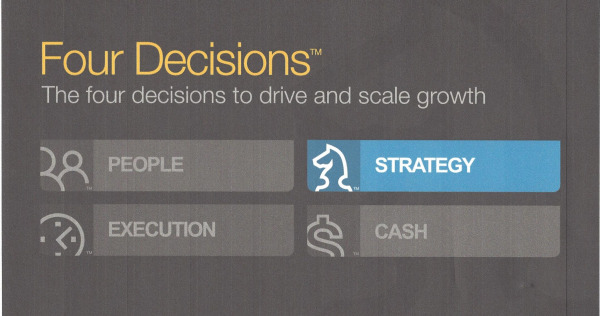 In Four Decisions – Strategy we discussed the Seven Strata of Strategy. 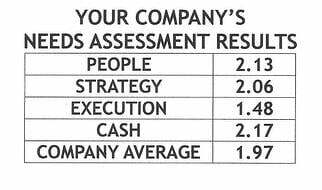 Verne Harnish discovered these key strategy elements were what mid-sized business owners had concentrated on after the last recession to yield excellent results in moving the needle on increased revenue. Starting with this blog we’ll explore these seven strata, taking a look at what they are and why they have had such an impact on the company’s that identify them, and why they can also impact your revenue growth in 2014 and beyond if you choose to identify and develop them as well.